March 8 is International Women's Day, a day to honour and celebrate the women in our lives and those whose work has paved the way for so many of us. This year Canada's campaign is dedicated to the theme of #InnovateForChange, aimed at the goal of gender parity in STEM (science, technology, engineering and mathematic) fields and "asking everyone to harness the power of technology to create a more equal world." Like last year, we're taking a moment to spotlight some of the women we're inspired by. Through STEM work, but also art, performance, writing, education, healthcare, policy and more, these women are fighting for rights, carving out space to tell their own stories and advocating for many others. They're breaking barriers and challenging discrimination based on gender, economic status, sexual orientation and race in the name of equality. Here's a bit about why we're looking to them with gratitude this International Women's Day. 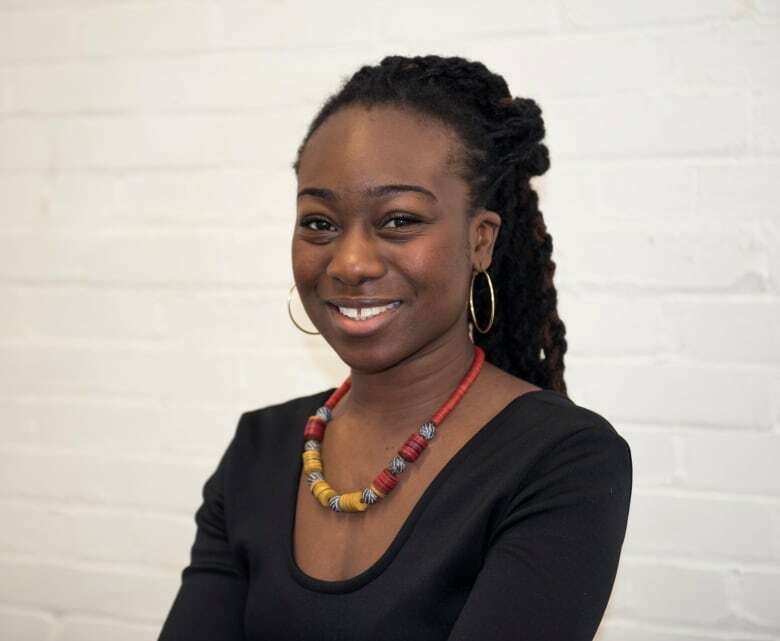 Eugenia Duodu is the CEO of Visions of Science, a non-profit organization that seeks to inspire and empower "youth from low-income and marginalized communities through meaningful engagement in STEM fields and research." The Toronto-based organization does this by providing free and consistent programming to youth in their communities. She speaks openly in her TEDx Talk, "The 'Unlikely' Scientist" about not looking or acting like the stereotypical scientists she saw in her textbooks as a child — she initially kept her love of science a secret, until she realized she could be a scientist and stay true to herself. Now as a mentor and an advocate, Duodu is helping to do the same for a new generation. We're inspired by this CEO scientist's ability to meld her passion for science and community into creating future STEM superstars. 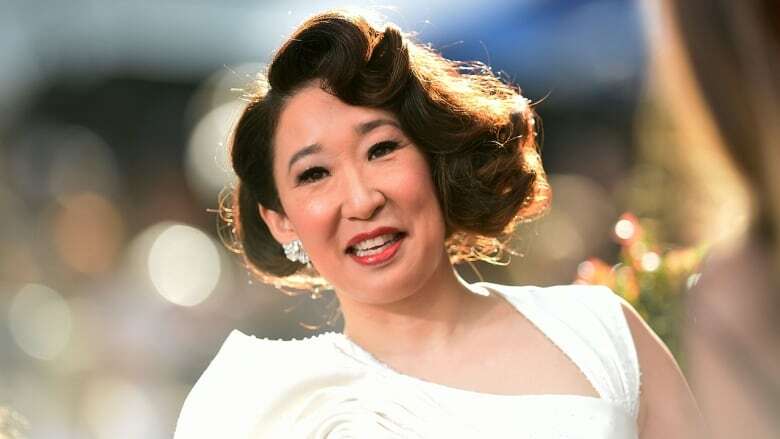 We're still reeling from Sandra Oh's performance in the exuberant TV thriller, Killing Eve. And while Oh came to be a household name during her ten-season role on Grey's Anatomy, many would agree that this has been her year. As she jokes, it just took her 30 years to get here. The Korean-Canadian actor has been vocal about the lack of representation — and lack of roles, period — for actors of Asian and South Asian descent in Hollywood. This past January, Oh co-hosted the Golden Globes and took home a best performance win for her work in the aforementioned BBC America series. She made history as the first Asian performer to win multiple Golden Globes, and again as the first to host a major American awards show. During her opening monologue, Oh took a moment to acknowledge the show's diverse range of nominees: "I said yes to the fear of being on this stage tonight because I wanted to be here to look out onto this audience and witness this moment of change. And I'm not fooling myself. I'm not fooling myself. Next year could be different. It probably will be. But right now, this moment is real. Because I see you. I see all of these faces of change." Oh's work is not only evidence of an immense amount of talent, but her prominence in Hollywood in itself serves as inspiration for many, and she wields this power incredibly. Abigail Dove wanted to be a sports correspondent when she grew up, but she didn't wait to grow up to make it happen. 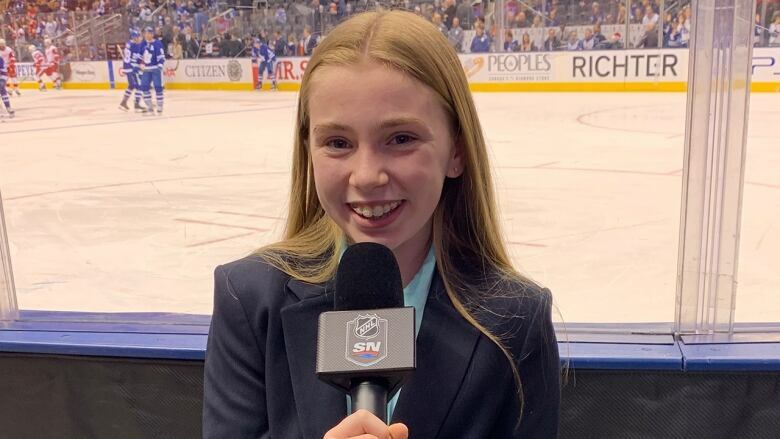 Now, at just 13, Dove has already realized her dream career of being a rinkside reporter as Sportsnet's Next Generation junior correspondent and even co-anchored rinkside with her broadcast hero, Christine Simpson, at an NHL game. In fact, her career began over a year ago when she became the first Canadian ever to win Sports Illustrated Kids' contest to become their new kid contributor and continues to write for the publication. This young woman doesn't just act like a pro, she is one. And her dedication to following her dreams at such a young age is not only notable, but seriously inspiring. The author's win in 2011 made her the first Black woman to win the Scotiabank Giller Prize. Referring to her historic win, she told CBC Books: "I was proudest when, some years later, a woman in her late teens approached me at a dinner to tell me that that win had given her the courage to study writing. The visibility allowed by the prize had made the choice less impossible for her. And that's wonderful." 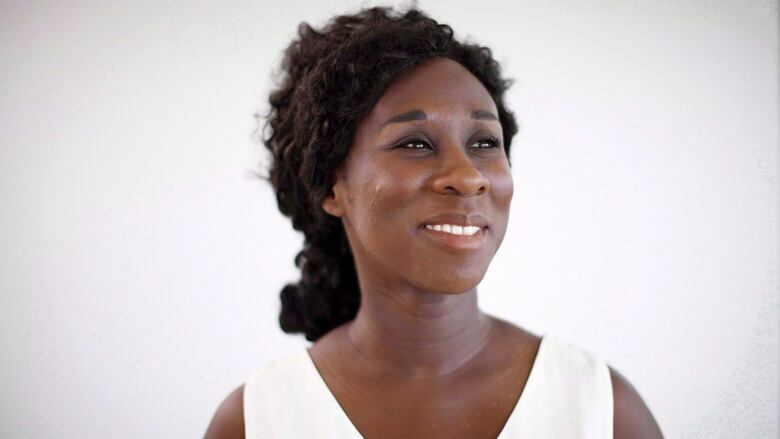 Edugyan's works (and talent) have made her a prominent name in Canadian fiction, solidified her place in this country's literary canon, and inspired a whole new generation of young Black writers. We're anxiously awaiting her next award-winning novel. Dr. Alaa Murabit is a physician, serves as one of 17 global sustainable development goals advocates appointed by the Secretary-General of the United Nations, a UN high-level commissioner on health employment and economic growth, and she is Meritorious Service Cross recipient. And did we mention that she's only 30? This game-changing medical doctor was also listed as one of Forbes' 30 Under 30 list in 2017. Her family moved from Saskatoon to Libya when she was 15, and she enrolled in medical school that year, earning her the title of "The Libyan Doogie Howser" from Jon Stewart. Although she has said that she "never had any intention of being an advocate," Dr. Murabit has become a strong voice for Libyan women and force of modern feminism. Accolades aside, we are in awe of Dr. Murabit's dedication to fighting for inclusivity and the rights of women on an international scale, as well as her willingness to enact change through global policy. This writer, journalist and politician is our country's Minister of Foreign Affairs — and easily one of the most recognizable faces of Canadian politics. She's a Rhodes Scholar and a New York Times bestseller, and as of late, she's been standing up for her country on a global scale. 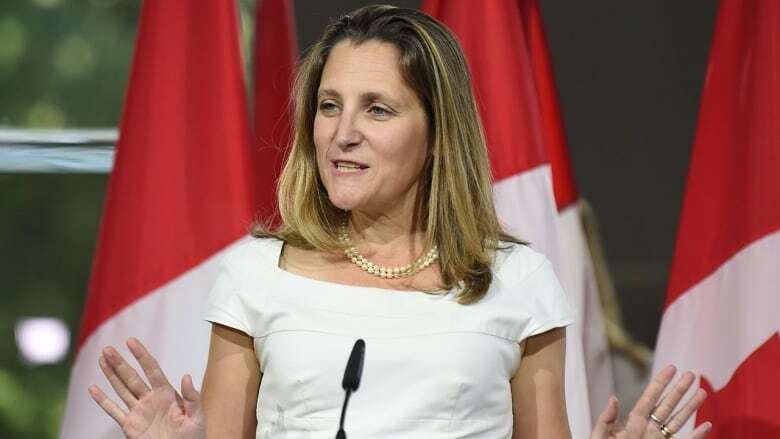 Last year, as Canada's direct diplomatic line to the White House, Freeland emerged as a defender of her country when she stood up for the trade interests of Canadians. At the forefront of the high-stakes NAFTA negotiations and the implementation of the CUSMA trade agreement (also known as the USMCA), she demonstrated immense tact and diplomacy. In addition to negotiating Canada's economic trade plan, Freeland has also not hesitated to call out human rights violations on an international scale and personally greet refugees upon their arrival to Canada. Not only is she a woman of influence, but she has emerged as a leader, a sharp negotiator and arguably one of the most powerful women in this country. 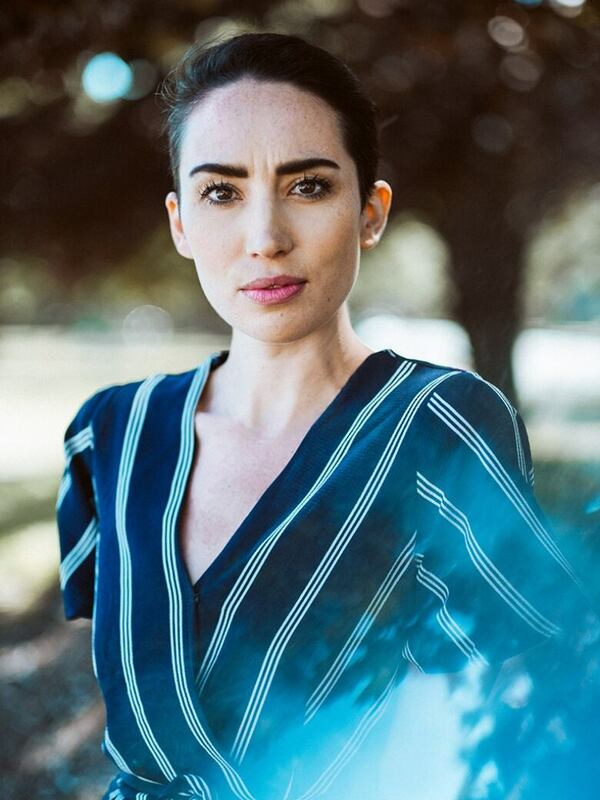 Sage Paul is an award-winning artist, designer, and founding collective member and artistic director of Indigenous Fashion Week Toronto (IFWTO). Based in Toronto, and a member of English River First Nation, this Denesuliné designer is known for her work in fashion, costume and crafts. Paul doesn't shy away from sharing herself in her work, including vulnerable moments. In fact she uses her art and her collections to tell stories; her recent clothing line, Giving Life, speaks of the trauma of her miscarriages. "You can tell your secrets through fashion, and it's not so vulnerable," she told CBC Radio. Paul has said that that IFWTO aims to challenge "mainstream perceptions of Indigenous people and our culture, which are often stereotyped, commodified or exploited." With her guidance and leadership, the inaugural IFWTO did just that, and featured 23 designers who showcased their collections over four shows. 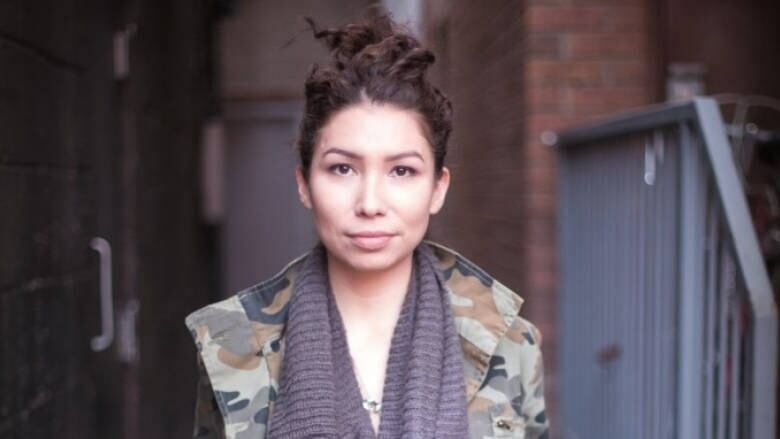 A leader in Indigenous fashion and an inspiration to so many, Paul not only showcases her collections at galleries and museums and speaks on panels about Indigenous fashion and craft, she also uses her platform to carve out space for other Indigenous women artists and designers, amplifying their visibility. 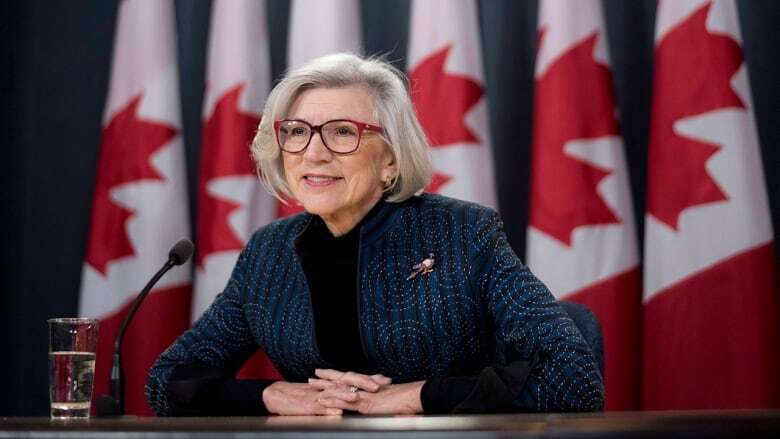 The Right Honourable Beverley McLachlin was the first woman to be elected to the position of chief justice of the Supreme Court of Canada and is the longest-serving chief justice in Canadian history. After the groundbreaking jurist retired from the bench in 2017, she went on to write a bestselling crime novel. McLachlin has since been awarded dozens of honorary degrees, serves on numerous boards, and has been honoured time and time again for her influential work in Canadian law. This overseer of the Canadian courts and judicial system serves as inspiration for future women lawyers — and women in general — across the country. And this chief justice-turned crime novelist also proves it's never too late to follow your dreams and take on a new career. Canadian sports legend, four-time Olympic gold medallist and all-around hockey hero Hayley Wickenheiser is perhaps the most recognizable face in women's hockey around the world. And rightfully so. She was a force on the ice even before the Winter Olympics had women's ice hockey tournaments (which, sadly, only began in 1998). Wickenheiser carved out an extraordinary career path for herself, even if it sometimes meant being the first and only: in 2003, she became the first woman to score a goal playing in a men's semi-professional league. History-making and record-breaking, she is Canada's all-time leader in international goals (168), assists (211) and points (379). Wickenheiser's list of professional accomplishments goes on and on, but when she retired in 2017, she had a whopping 276 games with Team Canada under her belt. She may be retired from professional hockey, but she's certainly not slowing down. Wickenheiser is currently pursuing her degree in medicine (NBD!) and, just this past August, she was named assistant director of player development for the Toronto Maple Leafs, becoming the first woman to hold that title with that team. To call her an inspiration for young women hockey players is an understatement. We're in awe of her dedication to her sport, her work on gender parity in sport, and her ability to pave the way for herself and upcoming athletes, both on and off the ice. Since 2016, Andria Wilson has served as the executive director of Inside Out, Canada's leading presenter of LGBT film, and the organization behind the popular Ottawa and Toronto LGBT Film Festivals. Her position of influence in the Canadian film industry has allowed her to continue the organization's important work, offering filmmakers a platform to tell their stories and challenge attitudes. Wilson was no stranger to film-fest life when she moved to Toronto for this new chapter in her career. She'd spent the previous 15 years in Halifax, where she co-founded OUTeast, Atlantic Canada's queer film festival, managed cinema operations for FIN Atlantic International Film Festival, and held many other executive positions in the arts industry on the East Coast. 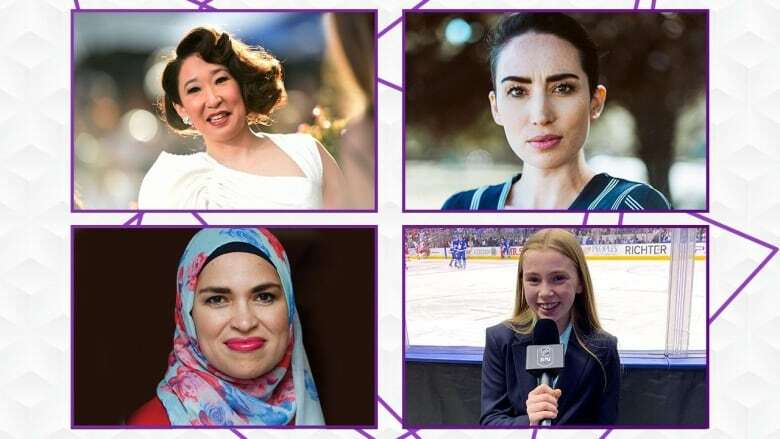 Wilson possesses a passion for storytelling, and has been able to use her platform to highlight the stories of Canadians who don't always see themselves represented on screen. She told CBC Arts that this is one of the most rewarding aspects of her work. "We need people to know that we see you, we hear you and your story deserves to be told," she said. We're more than inspired by Wilson's dedication to providing a platform to artists, and we're glad the film industry has someone so dedicated to empowering LGBTQ creators. Dr. Marcia Anderson spearheads programs designed for medical schools across Canada, with one common goal: to help the country's future doctors understand the substantial list of barriers that may prevent Indigenous people from enjoying a good quality of life. 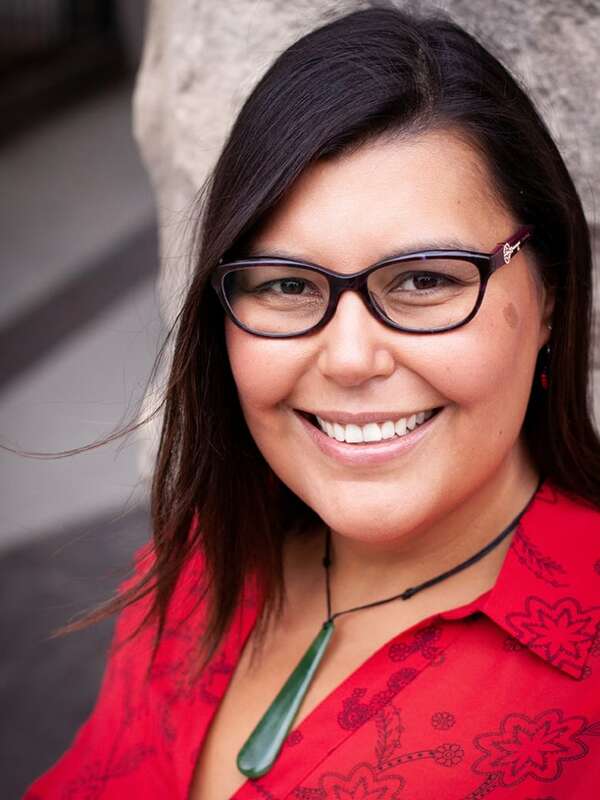 A doctor specializing in public health and internal medicine, and Cree-Anishinaabe herself, she is the executive director of Indigenous academic affairs in the Ongomiizwin Indigenous Institute of Health and Healing, Rady Faculty of Health Sciences, University of Manitoba. In the role she focuses on developing and implementing Truth and Reconciliation Response action plans, while also working to serve Indigenous youth, maternal and child health; and improve Indigenous health care quality. We're inspired by Dr. Anderson's dedication to effecting change. Recognized as a leader in Indigenous health, she uses her voice to passionately advocate for improving healthcare and speak out about closing the gaps in Indigenous health, fighting for a system that better meets the healthcare needs of Canada's Indigenous population. 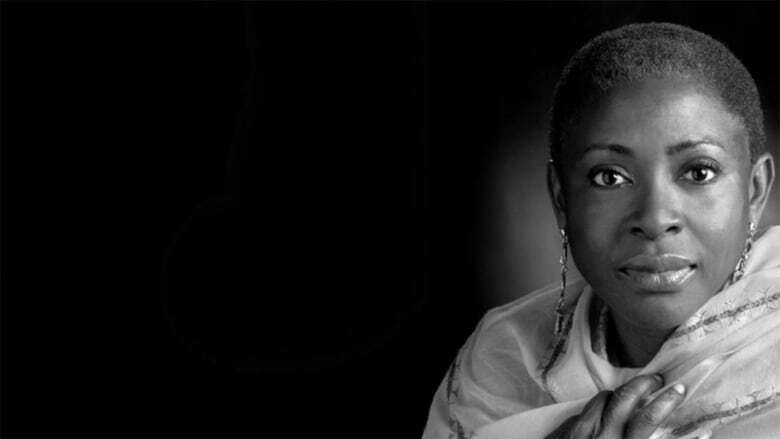 Afua Cooper is the seventh and current Halifax Regional Municipality Poet Laureate. Being an ambassador for poetry and literacy at large is a tall order, but it's one that the associate professor and James R. Johnston Chair in Black Canadian Studies at Dalhousie University believes in. "Poetry is movement, poetry is politics, it's everything," Cooper told the CBC. "It fires the imagination and so that excites me because in firing the imagination then we produce a new world." Cooper firmly believes in the power of poetry to bring people together and uses her influential role to promote literacy in the city, and bring in voices from Halifax's immigrant communities. In addition to her role for the city, she has published five books of poetry, various academic papers and the landmark history book The Hanging of Angelique: The Untold Story of Slavery in Canada and the Burning of Old Montreal. Cooper's numerous scholarly endeavours have made a significant contribution to gender studies in African North American history, and we are so inspired by how she brings her role of educator to her influential appointment, helping give voice to communities who seek to be heard. Vivek Shraya is a writer, musician, visual artist and filmmaker, with notable accolades in all of her fields — including a spot on CBC Music's list of Best Canadian Albums of 2017. Her latest book, I'm Afraid of Men, has been described by many as essential reading. In it, she discusses how toxic masculinity impacted her as a child through to her adulthood as a trans woman. Shraya says it was important for her to show "the ways that we're all complicit in... perpetuating the harms of masculinity." She has also spoken candidly about the need to confront the uncomfortable: "I think that for people to be real allies, people with power have to give up power. But most people who have power and privilege don't think they have power and privilege. When they realize they do, they don't want to give it up. I know that feeling too, as someone who has had and continues to have power and privilege in certain ways." We're inspired by Shraya's commitment to using art to tackle difficult issues and empower others. 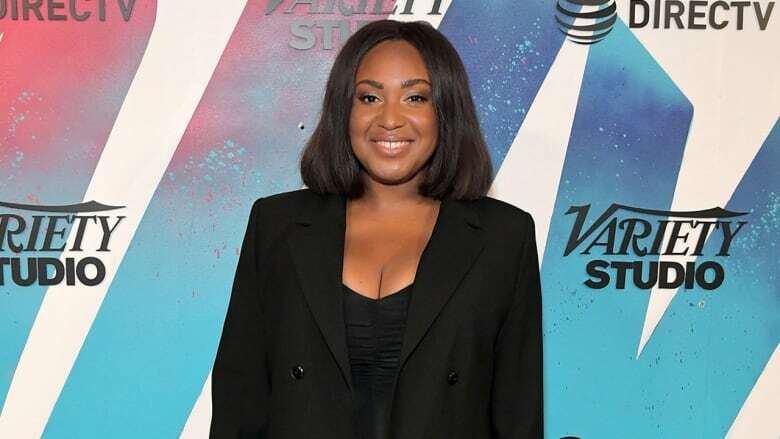 A screenwriter, producer, director with three feature films under her belt, Stella Meghie made her way to film from fashion — and we're so glad she did. Meghie wrote, produced and directed her debut film, Jean of the Joneses, which premiered to critical acclaim at SXSW and TIFF in 2016 and became an indie hit. It's essential to note that she hadn't directed before this film. She took a month-long course, lept into a completely new job — and it paid off. Her directorial debut launched a whole new career. Featured on CBC Arts' The Filmmakers, Meghie told Amanda Parris that she wrote about her own experiences when writing Jean of the Joneses, and the authenticity of her storytelling shines through. She's been working in the indie and studio system ever since, carving out a space to tell and create her own stories in Hollywood, and we're so inspired by her ability to dive into a new career, work within its ecosystem and yet have her own voice remain evident in her work. You've likely heard of high school teacher, columnist and novelist Uzma Jalaluddin's debut book, Ayesha At Last. 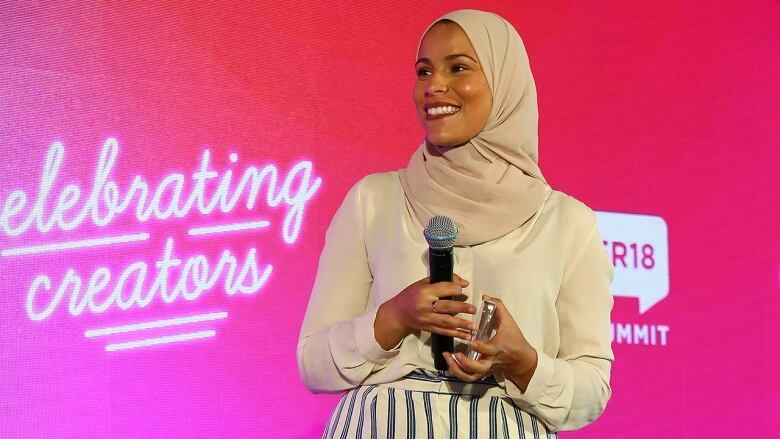 Marketed as a modern take on Pride and Prejudice, it tells the tale of a young Muslim woman who aspires to be a poet and must balance what her family expects of her with what she wants for herself. In doing so, Jalaluddin wrote a story about romantic love that subverts stereotypes about Muslim people. The young adult novel was picked up by publishing heavyweight HarperCollins — and film rights have already been acquired by a major Hollywood studio. 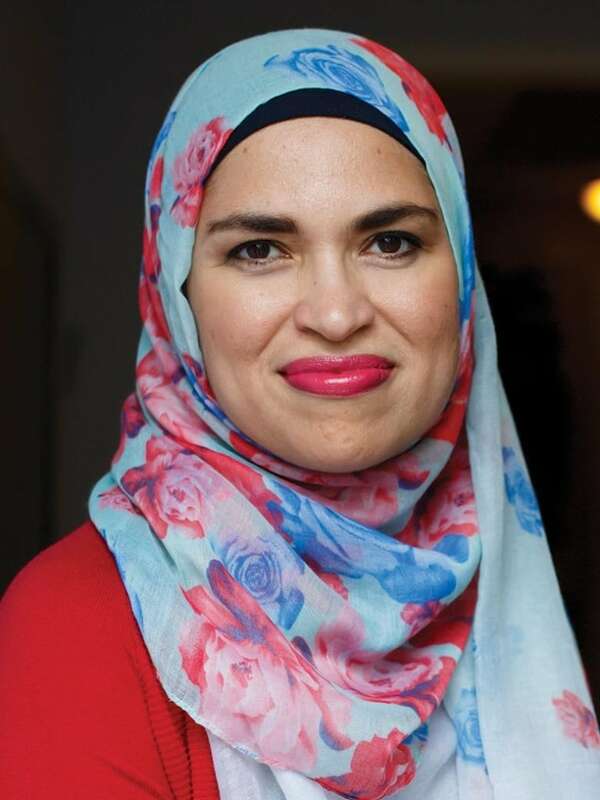 On top of her work as an author, Jalaluddin has a column called Samosas and Maple Syrup in the Toronto Star, where she writes about parenting, family life and, as she told CBC Books, "what it's like to be a Muslim woman living in Toronto." Not only are we inspired by Jalaluddin's accomplishments as a novelist, we admire her willingness to share an honest look at her life with us.